Scheduling events is the lifeblood of your pet care company! If you’ve ever watched one of our software demonstrations - you’ve probably heard us reference the “Scheduler” as the heartbeat of the Time To Pet system. Just like flowers are the lifeblood of a florist, completing visits or events is the lifeblood of a pet sitter. That is what you charge your clients for and how you make a living. There are lots of ways that you can schedule events for your business but we’ve found two major trends in how our most successful clients schedule their events. For your clients that use you every week - get them on a regular schedule as soon as possible. The regular, recurring customer is the golden goose for pet sitters and dog walkers. Because their schedule is repetitive - you should automate the scheduling for these clients too. 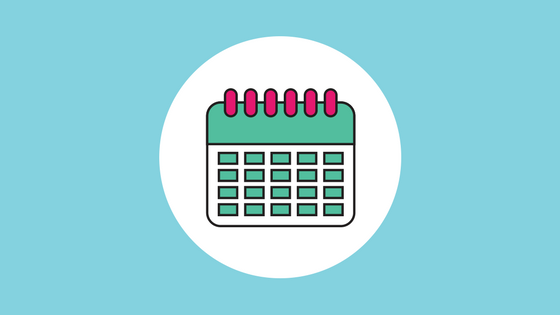 Automatically scheduling their events helps eliminate a lot of the work that both you and your client has to do and helps prevent any missed events caused by human error (like if you forgot to schedule their visits next week). Of course - not everyone should be on a regular schedule but your customers who use you every week most certainly should be. You can check out how Time To Pet helps automate this by reviewing our Templates feature. Anyone who uses you for intermittent or irregular services should be responsible for scheduling their own events. The life of a pet sitter is busy. You’re probably on the road or doing visits for most of the day. It’s not fair for your client to call you in the middle of a visit and expect you to drop what you are doing to schedule events for them (and they wouldn’t appreciate you doing that during one of their visits). They should be enabled to make their own requests through some type of Client Portal or Client App. You definitely want to make this process easy for your clients though. With Time To Pet - your clients can make service order requests through the web portal or directly from the Time To Pet App. After filling your calendar with visits - it’s important to order them in a way that makes the most sense. Your clients expect their visits to be performed within certain time frames (see our Academy post on Schedule Blocks) so you need to be mindful of that but within each time frame - you should spend some time arranging events in the most efficient logistical order. This saves you time, gas, energy and allows you to be as efficient (and profitable!) as possible. Even if you spend 10 minutes ordering your events - you can cut off hours of time spent driving back and forth from one side of town to the other. Even with these pointers - Scheduling events for your pet sitting or dog walking business can be challenging. Pet Sitting Software can help you better organize your time, your business and your schedule! Be sure to create a solid policy for when you will complete events. We have a great academy lesson on Using Schedule Blocks to help.